The 2010 major league baseball season officially opens tonight when the arch rival Boston Red Sox take on the World Champion New York Yankees. When Josh Beckett fired his first pitch in Beantown another marathon race to the World Series kicked off. These two opponents are considered by most pundits to be the top teams in the American League. Consensus favors the Bronx bombers, but if any team is capable of derailing another trip to the fall classic, the Red Sox seem to be the most likely. Although they need to wait until Monday afternoon, the Philadelphia Phillies and Washington nationals share the honor of opening the National League campaign. A year ago, the Phillies dominated the Nationals on their way to registering their third consecutive NL East title while Washington languished again in last place. The Phillies still possess a powerhouse team; however, the gap between the two teams has seemed to narrow. This may be especially true when big-ticket rookie flamethrower Stephen Strasburg joins the big club as expected sometime during the season. In assessing all five teams in the National League East, it would seem that each has improved from a year ago. Full seasons by Nyjer Morgan and Ian Desmond will help both offensively and defensively. Adam Kennedy will provide stability and all around solid play. Ivan Rodriquez will provide stability and veteran leadership, but his best days are clearly behind him. Overall, the lineup still has weaknesses, but will be much more solid than a year ago. Defense was a huge problem the past couple seasons. This lineup will bring more competitiveness and better fielding. The rotation and bullpen are still substandard. Expect big ticket rookie flame thrower Stephen Strasberg to join the rotation within a couple months and make a large difference. He will provide the team with hope and a shot to beat other top pitchers around the league. The perennially young Marlins will continue to compete favorably led by Hanley Ramirez, Chris Coghlan and Josh Johnson. Look for Cameron Maybin, Ricky Nolasco and Anibal Sanchez to improve and make bigger contributions. The team's biggest weakness will continue to be its suspect defense. The loss of Nick Johnson will hurt the offensive output, but the Marlins have enough power to be competitive. The New York Mets suffered a total meltdown a year ago fueled by an avalanche of injuries. With the addition of Jason Bay, if the team stays healthy, the Mets will post a winning record again. Questions still remain about Reyes' health and his attitude. He possesses the talent to be one of the best shortstops in baseball, but many believe that he lacks heart and motivation. On paper, the first five spots in the order presents an imposing challenge to opponents, but the bottom three are a significant drop-off. Carlos Beltran has great potential, but is returning from knee surgery. David Wright became a singles hitter in vast Citi Bank Park, so it will critical that he makes adjustments to start driving the ball again. Johan Santana also returns from surgery and appears ready to re-establish himself as a top pitcher. Francisco Rodriguez should make the impact the team envisioned when they acquired him. The Atlanta Braves have improved as much as any team in baseball. The only thing that may stand in the way of competing to overtake the Phillies in the NL East will be their ability to keep some key players healthy all season. Chipper Jones is showing the wear and tear of many seasons. Troy Glaus is a gamble, but if healthy, could provide a big boost. Tim Hudson could return to form as a top tier pitcher, but is returning from elbow surgery. Similarly, new closer Billy Wagner still displays dominant stuff, but is rebounding from "Tommy John" surgery. Conversely, the Braves have one of the most exciting rookies in Jason Heyward stepping into an every day role. Many compare him to Dave Parker and Dave Winfield in terms of stature and skills. Martin Prado, Brian McCann, Matt Diaz, and Yuenl Escobar will all turn in very solid offensive seasons. And, Nate McClouth does not hit for average, but contributes with power and speed. Melky Cabrero was acquired in the offseason and currently projects as the every day left fielder. Expect Diaz's bat to remain too potent to keep out of the lineup, though. Diaz can flat out hit, but Cabrero will still get ample playing time. The Braves boast perhaps the best rotation in baseball in terms of depth. They do not have a true No. 1 in the Roy Halladay mold, but will compete every day. Takashi Saito should combine with Wagner to possibly give the Braves their best 1-2 bullpen punch ever. For a two-time defending NL Champion, the Phillies had a very active offseason. With all teams in the division having improved, especially the Atlanta Braves, the team will have fewer "lay-ups" and will have to be better to win a fourth consecutive NL Eastern Division title. Placido Polanco takes over for Pedro Feliz at third base. He will supply a significant upgrade on offense and provides an excellent two hole hitter. The trade-off will be in the field where Feliz was very solid and Polanco will be switching from second base. The largest improvement should come from having Roy Halladay at the top of the rotation for a full season. He replaces Cliff Lee as the team's ace, but the Phillies suffered for the first four months of 2009 without a true No. 1 starter due to Cole Hamels struggles. Ruben Amaro is gambling that Hamels will return to previous form, but his spring training finish is pause for concern. If nothing else, Hamels was unable to bolster his confidence heading into the regular season, so he remains a large question mark. Speaking of question marks, the Phillies have many in the bullpen and especially in the back-end. Brad Lidge and JC Romero need to play large roles for the team to succeed in 2010—and neither is ready to go after offseason surgery. Additionally, Joe Blanton starts the year on the DL with the type of injury that has the potential to linger. Fortunately for the Phils, Jamie Moyer and Kyle Kendrick appear ready to start strong. After having role confusion in the postseason, last year's rookie sensation J.A. Happ needs to regain the form that allowed him to go 12-4. If he does, Happ could be the key to the entire season if Hamels continues to struggle. The Phillies stellar offense and defense, along with a deep starting rotation, should be enough for another NL East title. If Hamels or Happ pitches like a No. 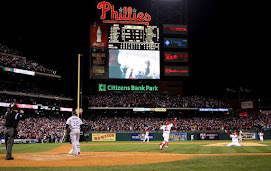 2, the Phillies will go on to win another NL Pennant. If Lidge and Romero rebound to turn in strong performances, the Phillies will bring home another World Championship with Halladay leading the way. 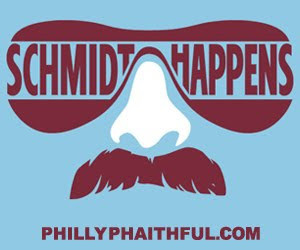 My bet right now would be that those pieces will fall into place and that the Phillies will be taking another trip down Broad Street. It bears watching though as the team will not be successful in the short series postseason format without a very strong second starter.